How’s this for a scary statistic: 80% of the emails you send to your potential customers will be viewed and ACTIONED in the preview pane. That’s how hard email marketing has become – everyone struggles to get past the very first hurdle. And as more and more people move to smartphones, with images and preview panes standard issue, this statistic is set to increase. So does that mean it’s time to throw in the towel? 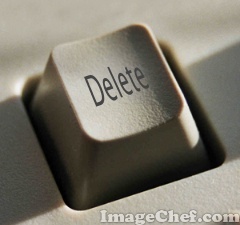 Is it really so impossible to avoid the dreaded delete button? The good news is there are ways to get around this problem and it’s all about keeping the preview pane at the front of your mind when designing your emails. A recent Lyris survey makes it very clear just how important it is to think carefully about your emails. The sender’s name and/or address is the key information readers look for in the preview pane (60%), followed by the subject line (54.3%), the main headline (53%) and any teaser copy (30.3%). The ‘From’ field needs to be a recognisable name and easy to distinguish amongst all the spam. People are becoming increasingly spam-savvy and can spot a dodgy email ten paces from their computer (or phone!) screens, but a real name demands a closer look. 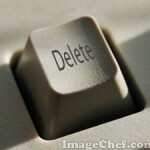 This field remains a highly influential factor in the decision making process to delete or otherwise. And be aware, that only 30% of business users add new email addresses to their safe sender/address book so you cannot guarantee even if they wanted to receive your email that they can be bothered to ensure that it beats the spam filter every time. Think about how you behave on email – do you update your address book with the email addresses of those regular newsletters to which you have opted-in? The ‘Subject’ line needs to work as hard as possible for your business. Forget insipid email subject lines, such as ‘Re your office needs’ or ‘October Newsletter’. Think long and hard about the benefits you can offer to customers or the action you want them to take. It doesn’t have to be perfect prose, just make sure that subject line is front loaded with your key action-inducing messages. The top of your email is prime marketing message space, so don’t waste it with empty words or admin like ‘view this email in a browser’. Use it for teaser text, intrigue your recipients to the point that they are compelled to read on and find out more about your business and what you could do for them. Or re-confirm what it is they are receiving to add that extra reassurance that the email is worth opening and moving beyond the delete button. Personalising emails can be really effective – I’ve had some great results using this approach. Try adding the recipient’s name into the subject line, eg ‘Sarah, here’s a great reason to buy X’. Don’t forget it’s always well worth doing an A/B split test so that you can monitor and measure subject line (or even other parameters) performance. That way you’ll be able to assess whether a personalised subject line generates more responses than a generic version, and you can then apply the best strategy to your next mailing or if you use email marketing software like Mail Chimp, it sends the best performing subject line to the bulk of your email database. Clever stuff! And while we’re on this subject, always make sure your email address data capture gets at least the first name so that you can use a Dear <first name> rather than Hello or Dear Customer/Member, etc which looks so unfriendly. Far too many of us spend too much time worrying about what our HTML email template will look like once it is received by our eager recipients. Unfortunately, with so many email clients reading your email, you simply cannot guarantee what it will look like ¬– so stop obsessing! Test as much as you can. Systems like Mail Chimp (provides Inbox Inspection) and other email marketing software allow you to test deliverability for spam. And make sure you send a copy to yourself and view in Outlook and perhaps a few others such as Hotmail and Yahoo mail (BT Internet is one of the most popular consumer ISP’s and uses Yahoo based web mail) – that should cover the basics as best you can. That said, the majority of business users view their emails in Outlook, and it’s estimated that only 25% of recipients have adjusted their Outlook settings to allow images to automatically download. And many companies have security blocks in terms of their firewall, so it’s best to avoid the inclusion of graphics or images if your emails contain important messages or calls to action. Try using text-based links and body copy for key messages. Avoid putting your action orientated or benefit-led headline into a fancy email header graphic as there is every possibility that it will never be seen and end up as a little white box with a red cross in it! If you’re unsure of the impact your email will have when it lands in someone’s inbox, try sending it to yourself or friends and family (not just for deliverability but for appeal too). Compare it to other emails you receive, particularly the junk that you delete without opening. Would the words in your subject line convince you? Does the slight glimpse of the email content itself look enticing enough? There’s no point in pretending that email marketing can’t be challenging, but follow my advice and you’ll at least have a good fighting chance of getting through to your target audience. Have you found effective ways to get your emails read? It would be great to find out about any successful strategies you’ve developed.